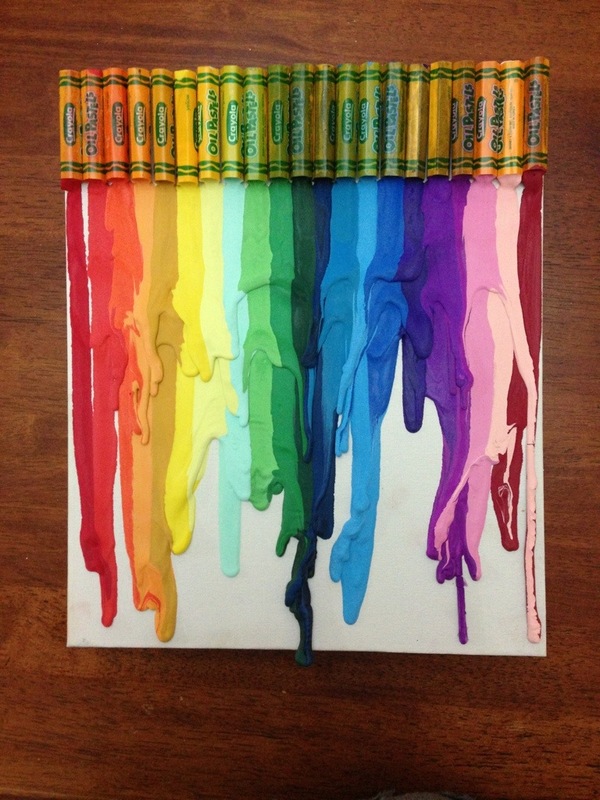 Don’t have crayons to melt? 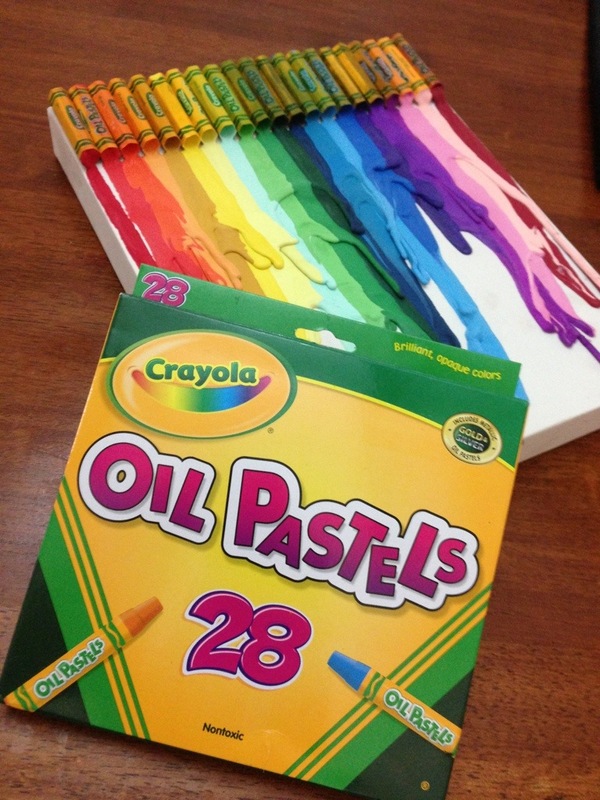 You can also use oil pastels! These ones from Crayola worked a treat for Emily, they still need to be hot glued into place on the canvas or board, and then use a heat gun to melt them. So easy and fun! 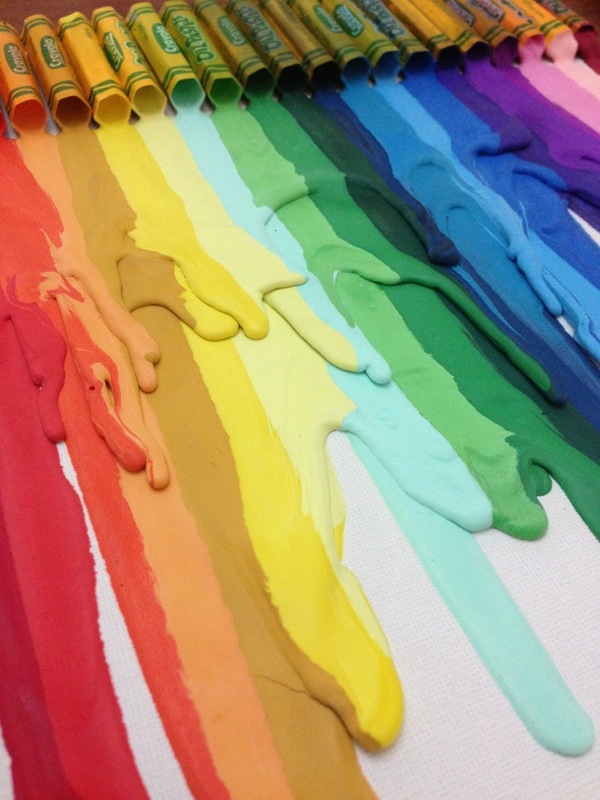 Emily allowed the first drops to cool before hitting the pastels again with the gun, creating thick gorgeous layers! This entry was posted in Family & Friends, Painting, Projects, Tips and Techniques and tagged Art, canvas, melting, Oil pastel. Bookmark the permalink. Ooooo! I love the thicker stripes.